With total unfunded liabilities of about $1 trillion, state retirement systems must find ways to slash costs. The unfunded liabilities of the U.S. state public pension system hover around $1 trillion, according to the latest comprehensive data from the Philadelphia-based Pew Charitable Trusts. That figure is expected to keep growing as states continue to put off pension and liability payments, and investment returns from capital markets sit in the low single digits. All of this is pushing pension plans to talk about reform, with a handful of states considering privatization options and others looking at ways to shrink benefits so they can cut costs. If pensions privatize more of their offerings for new employees, will it be enough? State pension funding formulas are generally based on a metric called the annual required contribution, or ARC. The ARC is the expected cost of benefits earned in the current year, along with an amount aimed at paying down unfunded liabilities. Most pension funds consistently fail to reach this number each year. In 2013 state pension contributions totaled $74 billion, Pew reports  $18 billion short of what was needed to meet the ARC for the country in aggregate. Less than half of state pension systems hit their own number or even reached 95 percent. All of this math used to be hard to come by unless you were a public pension trustee. Then, in 2007, the Governmental Accounting Standards Board, an independent group that sets nationally recognized accounting standards for public pensions, implemented GASB Statement No. 45, a requirement that forced public pensions to disclose their total unfunded liabilities. Another GASB rule change that took effect on June 15 makes such reporting even grimmer. GASB Statement No. 76 requires retirement systems to bring their unfunded health care liabilities onto the financial statement, instead of burying them in footnotes. For states that manage health care as part of the pension system, liabilities just went up  by the billions. But wait, theres more: In 2018, thanks to a provision in the 2010 Patient Protection and Affordable Care Act, retirement systems that provide high-cost health care benefits will be subject to the so-called Cadillac tax, a 40 percent federal excise levy. This change could affect 1 in 4 employer-sponsored pension plans. A bipartisan group of lawmakers recently introduced a bill that aims to repeal the tax, but its unclear if President Barack Obama would sign it or if the legislation would even make it through Congress. Against this backdrop, states are weighing how they invest and handle benefit plans in an effort to trim costs and fill the liability gap. As public pensions expand their investment programs, they have a tough time explaining performance dips to retirees and policymakers, for whom alternative assets may seem like exotic investments. 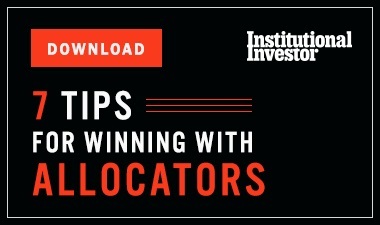 But Cummings says plan sponsors have become savvy about the markets and alternatives: Ive been very impressed with how hard [limited partners] work to understand the investments that we bring to them and how detailed the process is. Typically, a single new or repeat allocation to a strategy comes before a pension fund multiple times over several quarters before it gets approved, he explains. 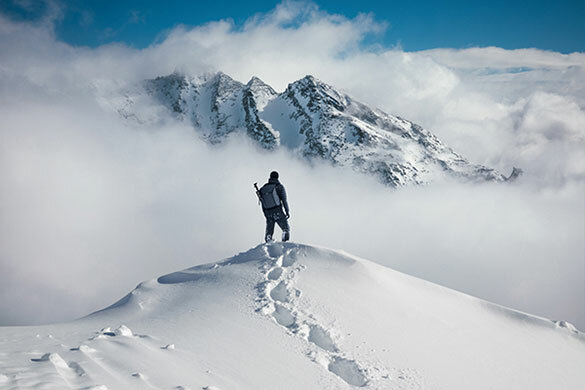 With pensions looking to diversify to generate the returns that pay for benefits, risk management is becoming a critical metric for structuring plans and investments. For the states that are making changes, small steps are the order of the day. Indianas state legislature recently approved a plan that would allow the Indiana Public Retirement System to outsource liability for its annuity savings accounts to a third-party provider. This move might not look like a big deal, but the change faced heavy opposition from pensioners and some in the statehouse, in part because it would mean lower interest rates associated with those accounts. Before the change, Indiana was paying out annuities at more than the current interest rate, which stands at 2.375 percent. Now retirees will get the prevailing market rate over the life of their payout. This takes the liability off the books for Indiana but means less of a benefit for pensioners. Other states are considering changing their benefit packages for new employees. According to Aon Hewitts Cummings, those changes could take many forms, including a 401(k)-style plan that looks a lot like what private sector employees have; it may mean changing health care coverage too. In the past legislative session, Kansas legislators commissioned a study of privatization options. What lawmakers were looking at was the possibility of individual annuity contracts for new employees, explains Rebecca Proctor, executive director of the Kansas Organization of State Employees, one of the unions that make up the Kansas Public Employees Retirement System. The move was notable because the state passed sweeping pension reforms in 2012  Proctor was on the committee for those changes  hailed as a signature accomplishment of Governor Sam Brownback. But Kansas failed to make the needed payments under the new formula almost immediately, because of budget shortfalls created by Brownbacks other signature move: sweeping tax cuts. Several states are studying a tiered benefit system like the one being considered in Kansas, with one plan for longtime employees and another for new hires, alongside changes to health coverage. New Jersey Governor and presidential candidate Chris Christie has been pushing clawbacks to health care and other pension entitlements to deal with a $37 billion shortfall. 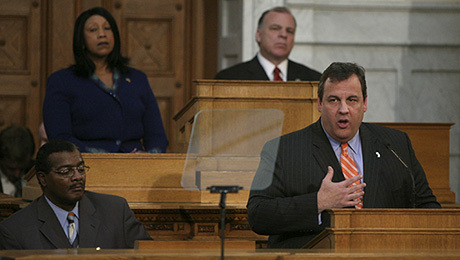 Christie cited the Cadillac tax as a key driver for the cuts. 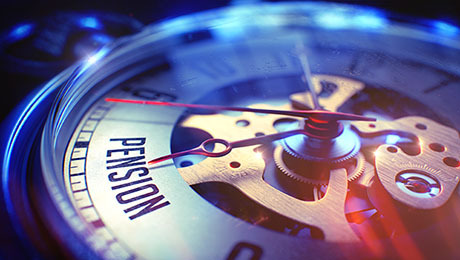 Former investment manager Robert Pozen, a visiting lecturer at the Massachusetts Institute of Technologys Sloan School of Management who has studied the economics of public pension systems, agrees. Changing the plan for new employees doesnt pay into the existing liability, Pozen explains, noting that actuaries are already starting to change their demographic assumptions to account for the fact that people are living longer.